It was a bitterly cold evening in January, but a capacity crowd of more than 100 people gathered for the official launch by London Living Streets and the Urban Design Group of two guides on low-traffic neighbourhoods. 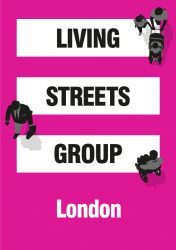 The guides, published by Living Streets and London Cycling Campaign, include an introduction for policy-makers and campaigners and a more detailed ‘how to’ guide for council officers. Access them here. As the guides show, low-traffic neighbourhoods are groups of residential streets where “through” motor vehicle traffic, or rat running, is greatly reduced or removed. They are bordered by main roads, the places where buses, lorries, non-local traffic should be. There are lots of ways to make a low-traffic neighbourhood, but the main principle is that every resident can drive on their street, receive visitors and deliveries. But it is harder to drive from one main road straight through to the next. No intervention has been more effective in increasing active travel. connected quiet streets that link the traffic cells with safe crossings over the boulevards or main roads. This creates a city-wide network of direct routes for walking and cycling that any age or ability can use. Martin used inspiration from foreign examples, such as Barcelona where “Superblocks” have created low-traffic neighbourhoods across the city, to demonstrate how ideas might work in London. This created great excitement in the room. Martin was followed by Feryal Demirci, deputy mayor of Hackney Council, which was one of the key inspirations for the LTN guides. She talked about the large number of filters the council had installed across the borough, for example Palatine Road, Goldsmith Road and most of De Beauvoir, and the impact this has had on walking, cycling and the quality of the environment. One of the key visions in Hackney Council’s radical Transport Strategy is to take back some kerbside from motor vehicles. The council has installed 400 cycle hangars and there are 6,000 people on the waiting list for new ones. A “parklet” scheme is also being rolled out following London Living Street member, Brenda Puech’s inspirational initiative. Demirci also announced that all new electric vehicle infrastructure and cycle parking would be installed on the carriageway in Hackney in the future, rather than on the footway. Other Hackney initiatives include School Streets and the Ultra Low Emission Streets on the City Fringe. But Demirci concluded that there was still much to do. Despite 82% of Hackney residents traveling sustainably and car ownership being very low in the borough, she acknowledged that streets are still dominated by traffic. More schemes were needed but there were constraints: lack of staff, the time and cost of consultation and legal objections from powerful interests. Questions raised included the displacement and evaporation of traffic as a result of filtering (N.B. Transport for London’s (TfL) view is that traffic should be on main roads); and gentrification. Demirci pointed out that she grew up on a council estate and knew that a great public realm benefits everyone who walks or cycles through its streets. Fran Graham of the London Cycling Campaign (LCC), who played a large part in producing the guides, pointed out that the Mayor’s Transport Strategy goal of 70% of Londoners living within 400 metres of a safe cycle route by 2041 would only be achieved through the implementation of low-traffic neighbourhoods. As Graham pointed out, it is not possible for every road to have a cycle track, but if residential roads were freed of rat-running traffic then they would be easy for anyone to ride a bike on. Laurie Johnston shared the impressive story of Dulwich and Herne Hill Safe Routes to Schools and the remarkable achievement the group has had in mobilising local people. This group of campaigners have worked for years with 19 schools and a coalition of groups towards building safer routes and junctions. Johnston told the audience that over the years children have been removed from our roads, but not the danger. They want to reverse that by representing children’s interests at council and public meetings. But Johnston spoke of how exhausting it was to create safe routes one junction at a time and concluded that “we need a holistic approach” to build networks for children and families “so active travel is enabled not encouraged”. That sounds a lot like a low-traffic neighbourhood. Rachel Aldred, transport reader at the University of Westminster, pointed out that while there are exceptions (including Donald Appleyard’s 1960s research in the USA and Joshua Hart and Professor Graham Parkhurst’s 2011 research in Bristol, which show how people make more friends and acquaintances on low-traffic streets) there is a lack of research on walking and how interventions impact walking. 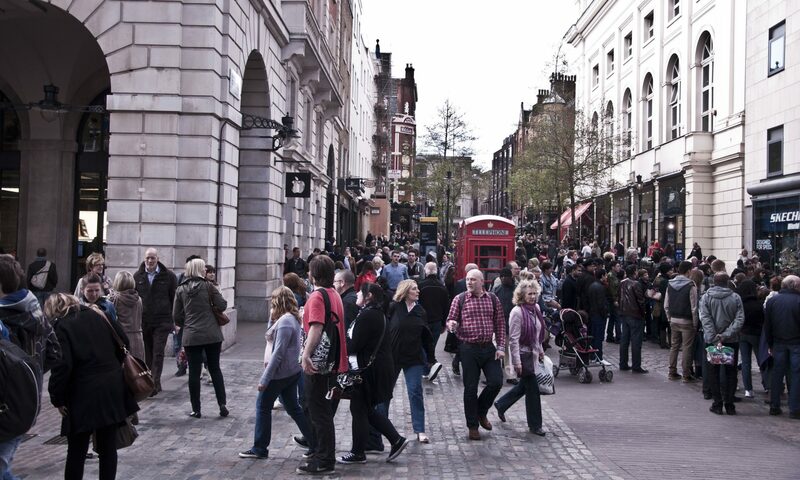 Aldred’s ongoing research is beginning to fill that gap by providing evidence on the extraordinary benefits low-traffic neighbourhoods bring to walking and cycling. This five-year study is comparing areas where substantial changes to walking and cycling infrastructure had been implemented, to similar outer London areas with no intervention. After just one year, the 2018 findings showed that residents in Waltham Forest’s low-traffic neighbourhoods, or mini-Hollands, were walking and cycling on average 41 minutes more per week. The biggest increase was in walking, with 32 more minutes per week. As this research demonstrates, the health benefits are huge. As the event drew to a close, a number of important points were made from the floor. TfL was often to blame for pushing traffic onto residential local streets by banning turns on major roads. There were many sources of funding, including planning gain from developers such as the Community Infrastructure Levy (CIL). LTN infrastructure (bollards and planters) are inexpensive. But it’s also important to keep costs of consultation (which obviously must be done) down too. Campaigners for LTNs should devote their energies to persuading the few 100 people in London with real power: leaders of councils and lead members for transport. As the audience at this event agreed, the low-traffic neighbourhood is an idea whose time has come.